Finding that perfect wedding venue or banquet hall in Central Line, especially Vashi can be stressful to some, considering proximity concerns and availability. With couples on their feet 6 months to a year before their big day scouting for the best wedding locations, its only wise to get started with your wedding planning - the sooner, the better. Vashi, one of the oldest and most populated nodes in Navi Mumbai is home to many 5 star hotels and wedding venues making it a preferable choice for residents of Central Mumbai to throw a lavish wedding celebration. If you are looking for luxurious, extravagant or budget-friendly wedding hotels, party halls, or marriage banquet halls in Vashi, we’ve scored the area for venues Vashi and the nearby areas have to offer and we share with you our selective best. Don't run around all over Navi Mumbai and Vashi to find your perfect fit. Choose your wedding venue here from the comfort of your own home. Browse, read, click, repeat! Known for creating timeless experiences for social gatherings, Imperial Banquets is one of the finest wedding hotels in Vashi. It offers banqueting spaces both indoors and outdoors with thematic hospitality. 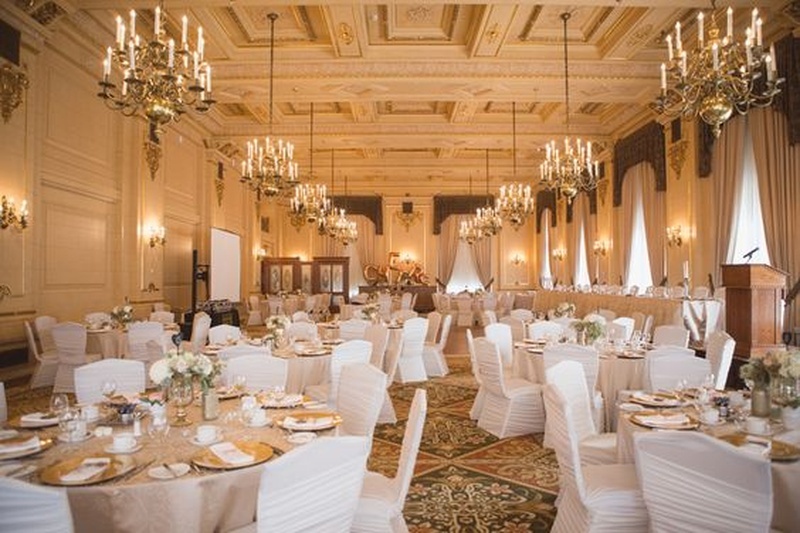 Their two medium sized party halls feature rich interiors making it suitable to host any kind of events be it grand pre-wedding or wedding reception. Should you need a larger space, their two halls can be combined to accommodate up to 1000 guests. The hallmark of this banquet hall in Vashi is their personal attentive service combined with exceptional food quality prepared by their in-house chefs. They also provide in-house wedding decoration services. And since alcohol arrangements are handled in-house too, outside liquor is not permitted at the venue. Imperial Banquets allows outside DJ. One of the oldest and renowned landmarks of Vashi, Abbott Hotel offers elegant banqueting spaces that offer a unique setting that suits any social events. Spread across 8200 sq. ft. and equipped with the latest facilities, this AC banquet hall in Vashi can easily accommodate a gathering of up to 300 pax. Ideal for medium sized, intimate wedding reception and pre-wedding celebration here is where fairy-tale weddings come true. You can avail the services of their in-house event planners who will ensure all your needs are customized to suit your preferences. From exquisite decoration, varied customizable menus and other concierge services to choose from, this wedding hotel in Vashi has got you covered. The venue allows you to book your own DJ and permits outside alcohol on the premises. 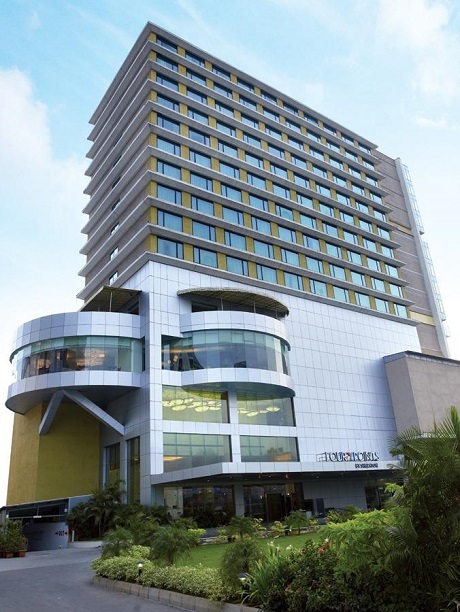 Another venue known for creating timeless moments with modern elements is Four Points by Sheraton. Offering an event space spread across 15,000 sq. ft., which includes indoor and outdoor space, makes it one of the best banquet halls in Vashi ideal for a lavish celebration. Their indoor event spaces are known to be as one of the swankiest banquet halls in Vashi fully-equipped with the latest audio-visual technology and a professional events team that is available for assistance to ensure your celebration is a success. Wedding decoration and catering services are provided in-house by their creative and talented staff. The venue allows you to book your own DJ and have a late-night sangeet or wedding reception functions with no cut-off to music timings. Outside alcohol is also permitted on the premises. A wedding hotel where luxury meets warm and personalized service is Fortune Select Exotica. Known to be the 5th largest banqueting space in Mumbai, it offers collapsible partitions that can be either converted into one large party area or divided into four smaller sections depending on your capacity requirements. Featuring new age infrastructure, Fortune Select Exotica offers the most luxurious banquet halls in Vashi to host an extravagant wedding celebration. As a full-service hotel all wedding related services, including decoration, catering, entertainment, as well as liquor arrangements is managed by expert staff. For couples having a wedding on a budget, Celebration Banquet hall is one of the finest wedding venues in Vashi. This full-service venue offers two medium-sized banquet halls perfect for a close gathering social event. Their in-house team of decorator, caterers and entertainment provide customized service to ensure all your needs is met with excellence. Though catering and alcohol services are provided in-house, the venue allows you to make your own arrangements. If you’re still looking for better options in banquet halls in Vashi, we’ve got a lot more choices here.